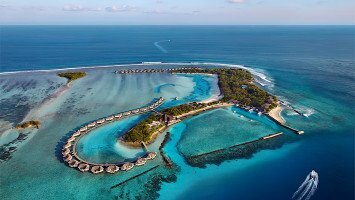 The Maldives are a true surf holiday destination, and its resorts take the word "paradise" to a whole new level. 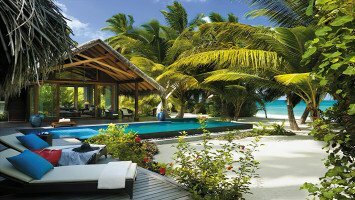 Luxurious resorts co-exist with breathtaking tropical landscapes and are surrounded by the ever graceful azure Indian Ocean and white sandy beaches. 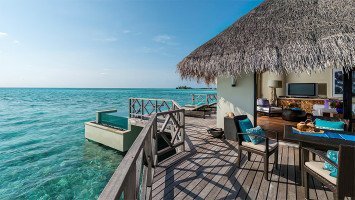 Waking up in suites that are built over water or in an all- your heart-desires bungalow with private beach access - the choice is yours. 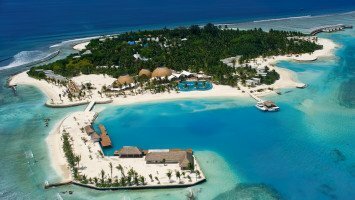 All resorts provide easy access, by either a short boat ride or a short paddle to some of the world's best reef breaks. Sometimes you just need to spoil yourself. You know; go all out, make it rain and rub shoulders with the world’s 1%. 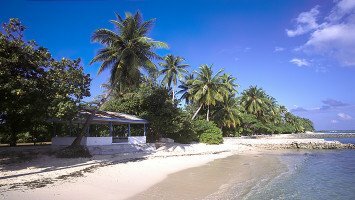 "... just cycling on white sandy paths through tropical perfect vegetation puts a smile on your face. ..."
"... We know we were quite picky and required a lot of support but you totally got our idea. The Maldives were incredible! Thanks!" "If I could use just one word to describe the trip, it would be PERFECTION! ...I loved everything: rooms, location, crew, waves, view, weather,...It was so relaxing. ..."
"... A friend told me about Luex and I have to say that they surpass all our expectations. Very professional, honest and with a very good knowledge of Maldivas which mean Martin provide us exactly the trip we were looking for...."
"... That was also the first time that we tried surfing. My boyfriend was really good, I not so much. But we both agree that surfing is our new favourite hobby. We're already planning some new surf adventures :)"
"... The whole trip was perfect. There were only a few surfers at the resort the entire time. Got to love November surfing. We got to surf Lohi's and Sultans by ourselves. The team at the resort were really friendly and a lot of fun. ..."
"... The resort was everything and more than we'd expected especially for my non-surfing wife. The local break was handy and the surf boat trips were great. Our surf guides were knowledgeable, helpful and completely chilled. 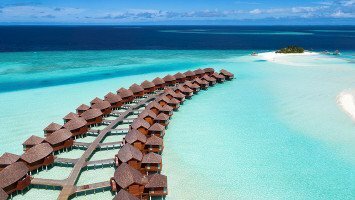 ..."
Maldives surf resorts are scattered all over the region with the highest intensity situated on the North and South Male Atolls. These form the main surf focus of the area offering up the highest wave density with some of the world's best waves ready to be taken on by experienced punters. The beautiful thing about surfing in the Maldives is that there are waves for all levels of surfing and all levels of stoke. Should you decide that you want a day of something a little more fun or your surfing level isn't quite up there to trade barrels with other shredders at the more advanced spots, then just paddle out at a more mellow break and surf until the sun goes down. 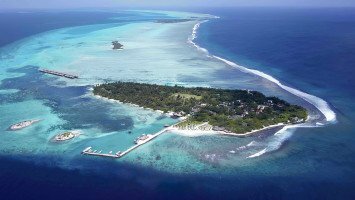 With perfect protection from the wind, regular swells, and ideal reef setups, North Male Atoll probably offers the Maldives’ best surf. Unfortunately, that level of perfection can be bittersweet as it also pulls the crowds. The best time to visit the area is in March/April until September/October with waves peaking from May to August. With nothing to block the swell, the waves around the Southern Atolls are generally the Maldives’ biggest. Perfect reef setups can be found, big swells, and (except for the popular months of March/April) completely uncrowded lineups. The surf season is all year round (waves peak from March to October) with pretty consistent waves on tap all year around. 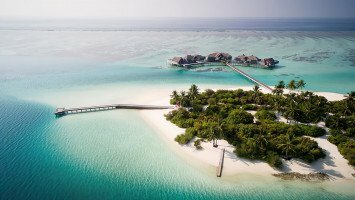 The Maldives isn't just about surfing until your legs fall off. 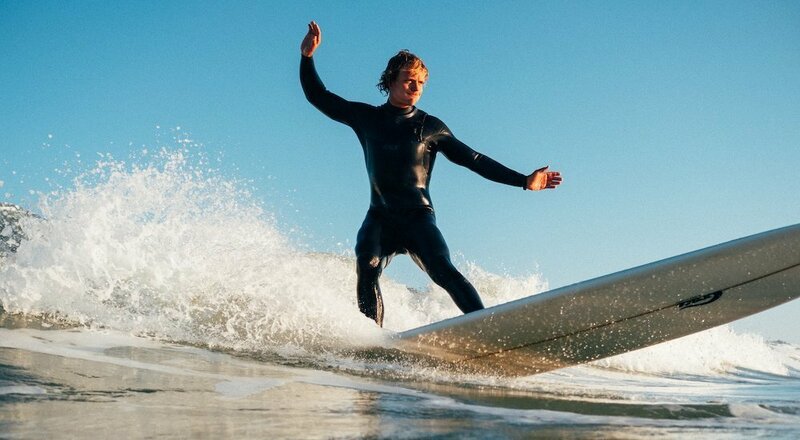 If you decide to have a "lay day" or you need to nurture your reef booboos then there are plenty of things to do that don't include a surfboard. 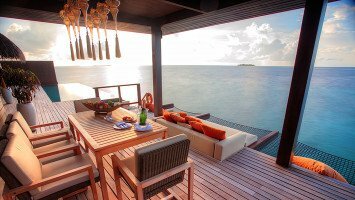 Just relax at your Maldivian resort or on your private Island if you want. 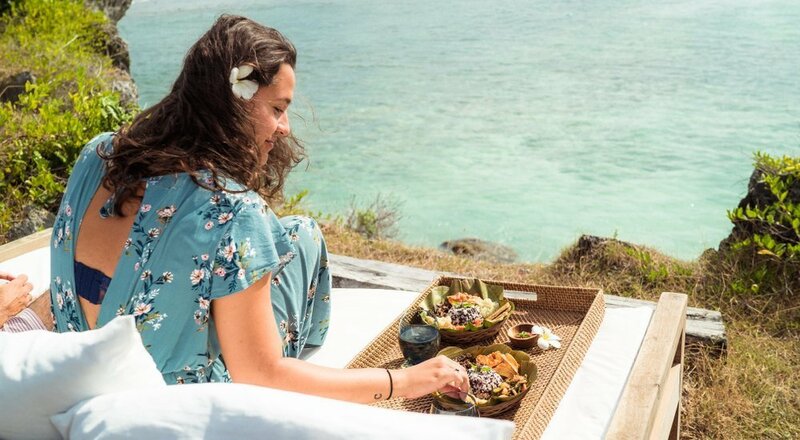 Indulge in all fresco dining at your secluded villa underneath the stars or replace your early morning session with a "dose of namaste" during a yoga class or a leg day at the gym. Perhaps you'd like to try another water sport or head out into the blue on a dolphin or whale spotting jaunt. Frolic by the pool, make friends at the bar or go for a boogie - whatever you can think of to make your holiday simply perfect is probably available and much more. The Maldives don't just look beautiful on land but underwater too. 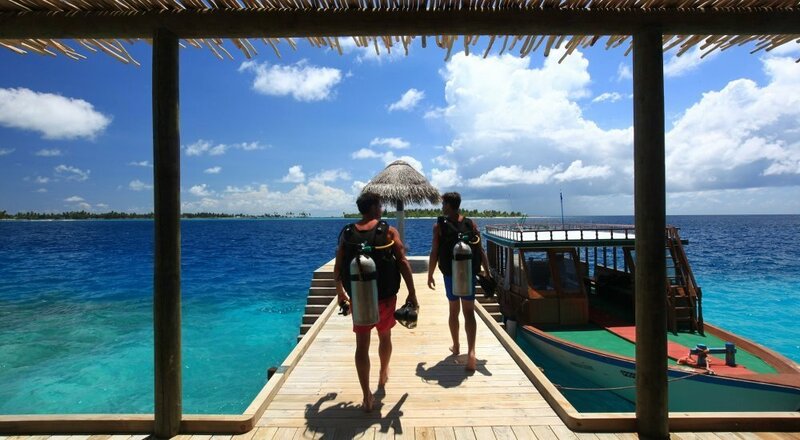 A true bucket list experience, snorkeling or scuba diving in the Maldives is something else. Incredible coral shelves can be found all over the place which makes the Island Nation a snorkeling and scuba diving paradise. The water is crystal clear with plenty of sea life action going on; it's filled with rays, schools of clownfish (Nemo) & Powderblue Surgeonfish (Dory) and if you are lucky you will see some reef sharks too. 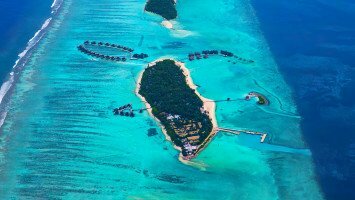 Its surrounding coral reefs are well preserved since some places are declared a UNESCO World Biosphere Reserve which makes the experience all that much spectacular. 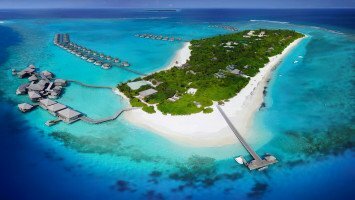 It will probably come as no surprise to learn that with such pristine, natural surroundings and high-quality accommodations and facilities, surf resorts in the Maldives are a popular choice among families. Attracted by extensive child care facilities and entertainment programs, your kids probably would want to stay forever. All LUEX selected resorts are incredibly attentive to kids and ensure their well-being while Mama and Papa trade cutbacks at a perfect reef break nearby. There are a few mellow breaks around that are perfect to get your little ones hooked on surfing too. 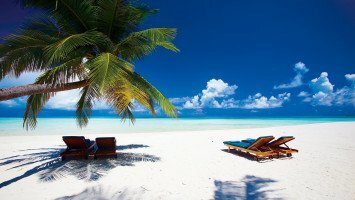 Wanna show your kids paradise - show them the Maldives!